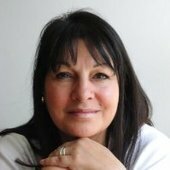 I am a fully BACP registered psychodynamically trained pscyhotherapist, with 20 years of post-qualifying experience. I hold a master's degree in Psychotherapy (MA, PG Dip. Psych, MBACP Regd.) and I work to the BACP code of ethics. My expertise is focused on life crisis and psychological disorders, including anxiety, stress, depression, trauma and post-traumatic stress, abuse, addiction, eating disorders, personality disorders and relationship problems. I work with a diverse range of clients which has included NHS primary care patients; business leaders and organisations; members of the arts and entertainment industries; university students; and offenders in prison. I specialise in depth psychology, and in relationship work with couples, including psychosexual counselling; and with families. My style is integrative and inclusive, focusing on the needs of each client, couple or group as unique and individual. In my comfortable and peaceful consulting spaces at my West End practice and at King's Cross, or via the internet or phone, I work holistically, which means treating the whole person, giving the same degree of importance to the mental and emotional, spiritual and physical aspects of the self. In addition to my clinical work with clients, I write and give seminars and workshops on a range of Jungian themes. Contact Petronella for session rate.